Clinique Just Partnered With Hye-Min Park aka PONY! She has almost three million YouTube subscribers and a fan base that spans the globe. Any makeup artist and beauty junkie knows that "your makeup is only as good as your skin underneath." That's why finding the right products for your skin needs can make a world of difference when you're applying your foundations, eyeshadows, and lipsticks. No one knows this better than Hye-Min Park, known as PONY on YouTube. 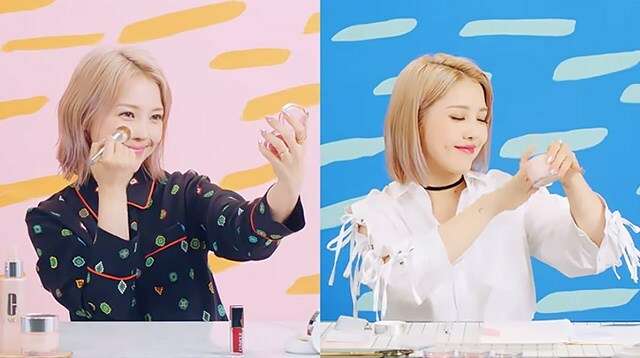 With almost three million subscribers on her channel and fans all over the world, the South Korean makeup artist has become famous for her in-depth tutorials, mesmerizing transformations, and of course, her ~*flawless*~ skin. It's no surprise then that beauty brand Clinique partnered with her to show you that the simplest skincare routine can give you a radiant complexion and a remarkable makeup look! Her product of choice? The Moisture Surge Extended Thirst Relief: A gel-cream hybrid that can hold 1,000 times its own weight in water, since it's rich in aloe water and Hyaluronic Acid—the perfect essential for women and men of all ages and in various climates, if you ask us.